Diabetes is one of the most common diseases which is estimated to affect 200 million worldwide. It affects the metabolic processes of the body, involving many organs that either from a profound or an absolute deficiency of insulin, are related to autoimmune destruction of insulin producing pancreatic beta cells (type 1, insulin dependent diabetes mellitus/juvenile) and from resistance to cellular metabolic effects, related to obesity (type 2 or non-insuline dependent diabetes mellitus) (see Tables 1 and 2). 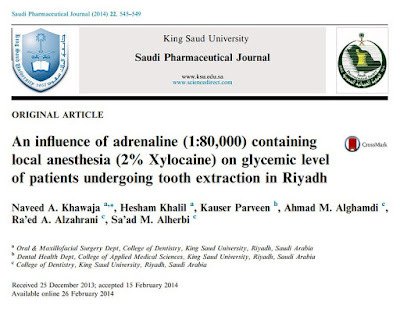 It has been known for many years that the inclusion of vasoconstrictors in dental local anesthetic solution offers indisputable advantages (Meechan et al., 1998). 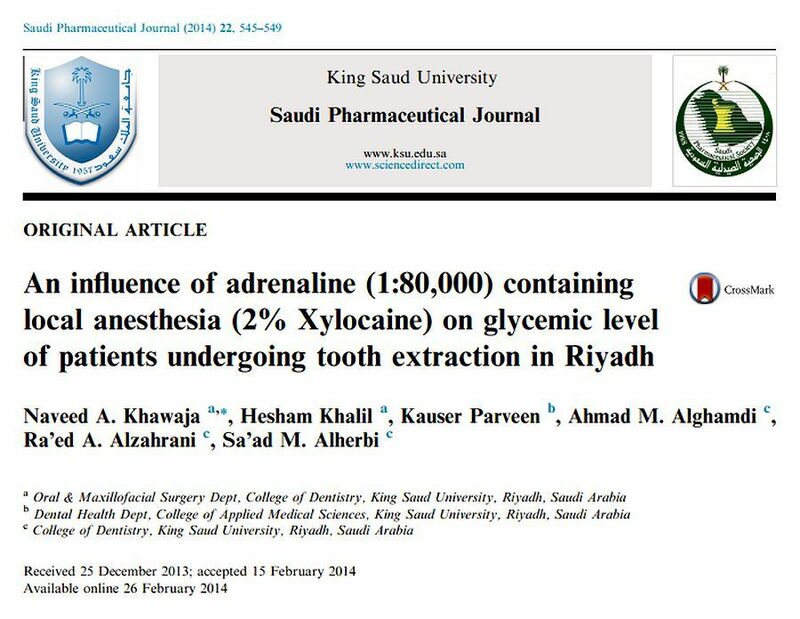 Adrenaline or other catecholamines are used as vasoconstrictors in dental local anesthesia to increase their efficiency by promoting longer lasting anesthesia (Keesling and Hinds, 1963), reduce the toxic effects by slow absorption due to the vasoconstrictor effect (Cannel et al., 1975) and make the surgical area less bloody (Jastak and Yagiela, 1983).